We have started our Family Photo Prayer Journals this week as a summer project. After this week, I will dedicate Tuesdays as “10 Prayer Tuesday” for the summer just in case everyone is not interested in making a journal. 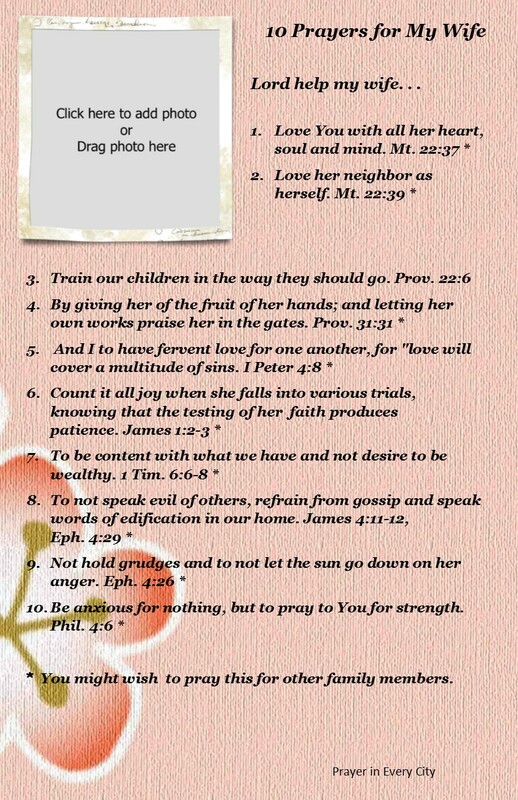 If you would like to learn how to make a journal, then click here: Make a Family Photo Prayer Journal. Lord help my wife. . .